Use this rubric to help you gather all the information you need prior to completing the online application. Scoring of applications are at the discretion of the review board. Notifications will be made within 30 days of the deadline. Scholarships must be used for events occurring within 1 year from the application deadline. This scholarship is for Search & Rescue K9 teams who currently have, or are working towards, a disaster certification or a certification with a disaster component. Applicants must be a member in good standing with a search team and able to provide a supporting letter. You may submit one application per submission cycle. You may only receive one scholarship per calendar year. What type of training does the scholarship cover? Training events that specifically address disaster search skills and those prerequisite skills (ex. FSA) required to certify and deploy. Calvary Canine also appreciates the value of training, that while not specifically search related, can have a profound impact on the proficiency of the handler and overall health, fitness, and success of the search dog. Training event registration fee up to $500. Travel, lodging, and meals are not covered. If awarded, how will I receive the scholarship funds? A reimbursement check will be sent directly to you once proof of payment is received and attendance complete. Calvary Canine will pay the host organization directly. What if I receive the scholarship, but must cancel (or the event gets postponed)? 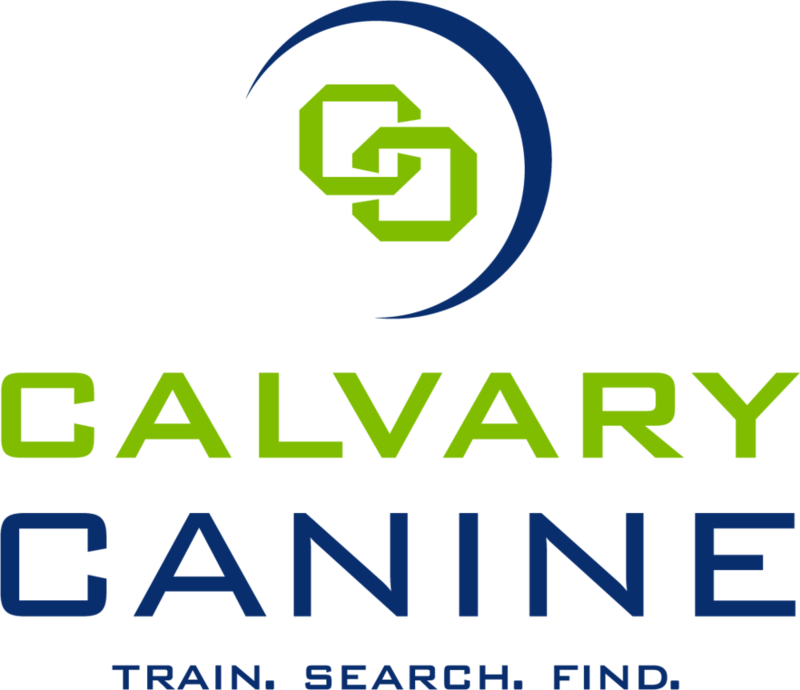 The scholarship may be applied to another qualified training with prior approval by Calvary Canine. Who is on the scholarship review board? How many scholarships are awarded each cycle? Up to 3 scholarships will be awarded per cycle. If enough eligible applicants do not apply, additional scholarships may be offered in subsequent cycles.